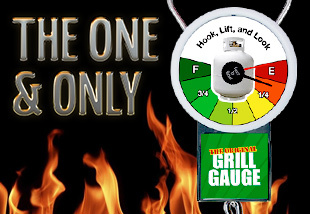 The Grill Gauge is available at these and other leading retailers in the U.S.
"I tried my Grill Gauge the other night and it worked perfectly. Finally, a simple, easy-to-use tool that lets me know if I have enough propane or not. It's inexpensive too! Now I know what my Dad will get for Father's Day. Thank you Grill Gauge!" - Kim T., Norcross, GA.